A day after teasing company's Indian target audience with Mi Men's Sports Shoes 2, the electronics giant has finally launched the footwear into the market. The company is providing the footwear via its crowdfunding platform and the company is providing a Rs 500 crowdfunding discount for a limited period. After finding its niche in Indian electronics and gadget market, Xiaomi is now planning to expand its roots in the lifestyle category too. A day after teasing company’s Indian target audience with Mi Men’s Sports Shoes 2, the electronics giant has finally launched the footwear into the market. The company is providing the footwear via its crowdfunding platform and the company is providing a Rs 500 crowdfunding discount for a limited period. 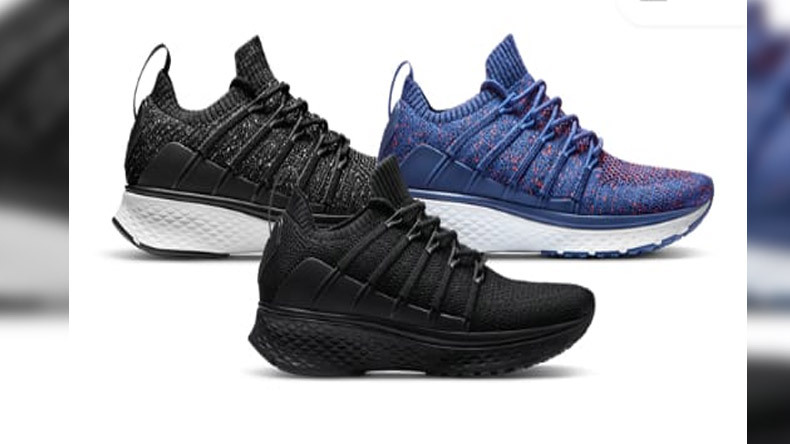 The description of the product on the site says that Mi Men’s Sports Shoes 2 are exclusively designed for the active men. The shoes are currently available in 3 colours — Blue, grey and black — and are crafted using the Uni-Moulding process. The shoes are originally priced at Rs 2,999 but are currently available at Rs 2,499 on a special crowdfunding price with Rs 500 discount. The crowdfunding has commenced from February 6, 2019, while the shipping of product will begin from March 15 in India. Xiaomi claims that Mi Men’s Sports Shoes 2 are shock absorbent, anti-slip and durable. They are machine-washable thus easy to clean. The shoes provide stronger grip with exceptional forward momentum and have Uni-body Suspension Balancing patch that provides Strong suspension for reduced impact. It is the 5-in-1 Uni-Moulding technology that makes the footwear shock absorbent, durable and slip-resistant. The process combines five different materials to minimize wear damage making the stitching on soles remain intact for long-lasting usage. The unique fishbone structure provides comfortable cushioning, twist-resistance and solid grip. The structure offers the needed arch support and reduces chances of sprains. Xiaomi has claimed that one could take on any adventure that comes your way once you slipped into these shoes.